CCCC Sponsors the Annual Calaveras Children's Fair which occurs annually in the Spring. The Children's Fair is a day event bringing together families in the community as well as local children's agencies for fun activities and resource sharing. 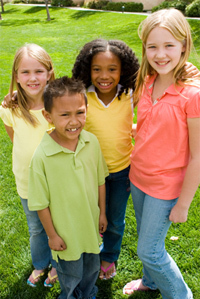 Information about Week of the Young Child at the National Association of the Education of Young Children website. CCCC helps our community be part of more than 7,500 communities and 1 million Americans in celebrating afterschool programs at the Afterschool Alliance’s annual Lights On Afterschool! This nationwide event calls attention to the importance of afterschool programs and the resources required to keep the lights on and the doors open. CCCC is proud to be a Lights On Afterschool National Supporting Organization. CCCC sponsors activities and promotes the recognition of children, educators and care providers during the Week of the Young Child.